Ava Helen Pauling at home, 1977. [Scientists] from the Atomic Energy Commission estimated the total genetic hazards of carbon-14 produced by the explosion of atomic bombs…their estimates are 500,000 children with gross physical and mental defect, 1,900,000 still born and childhood deaths, and 4,500,000 embryonic & nonnatal deaths. Ava Helen utilized hard statistics and emotional appeals to connect the women in her audience to the dangers of atomic weapons. Her desire to educate women on radiation dangers extended beyond the lectern. Ava Helen, like many women who were allied with the NCAI, also promoted scientific education by creating public informational displays on atomic energy and arranging showings of scientific educational films. She distributed literature, such as pamphlets and booklets, on the dangers of nuclear weapons. Only two educational pamphlets on the dangers of atomic warfare survive in Ava Helen’s personal papers. As Ava Helen’s reputation as a dynamic lecturer grew, she started to speak to her audiences on more general scientific topics. She became interested in the environment in the 1970s and gave speeches on water pollution and habitat loss. She asked audiences members to consider how their actions affected the quality of local drinking water. She also appeared on radio stations and gave short speeches on various scientific topics. Only one transcript of these broadcasts survives – on the science of making bread. Ava Helen wanted to both educate and empower her audiences. She paired the democratic vision of the atomic scientists with the egalitarian beliefs of the feminists. Ava Helen earnestly believed that social equality for women was key to creating world peace. “I believe that we can only make real progress towards a better world if men and women work together,” she told an audience in the early 1960s. The peace movement had successfully united intelligent and motivated women towards a common goal. Ava Helen recognized the potential strength of the women’s peace movement and wanted to see that energy channeled toward women’s liberation. Ava Helen at a women’s group meeting, ca. 1950s. Ava Helen could personally empathize with Franklin. Both women had been denied the highest public honor for their contributions to society, a Nobel Prize. 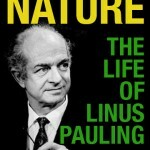 Linus Pauling received the Nobel Peace Prize in 1963, which both delighted and disappointed the Paulings. Although Linus certainly deserved credit for galvanizing the scientific community towards peace, Ava Helen had worked within the peace movement for at least as long. She was thrilled for him, but they were both saddened that the prize hadn’t been awarded jointly. Publicly, Linus gave Ava Helen full credit. As he accepted the Nobel, Linus told the crowd, “In the fight for peace and against oppression, [Ava Helen] has been my constant and courageous companion and coworker.” Still, the entire incident highlighted Ava Helen’s growing frustration with the accepted status of women. Discrimination against women is still very real and nowhere more than here in the United States, which lags woefully behind the more advanced Western Nations and indeed in many respects behind the socialist countries. Determined to rally the spirit of American women, Ava Helen traveled nationally to colleges, churches, and women’s clubs to spread the word. Ava Helen loudly urged the women in her audience to stand up for themselves. “Women have equal capacity with men in brain power, talents, and capabilities,” Ava Helen proclaimed in a 1964 talk. “Indeed, in the matter of courage, sensitivity, and fearlessness, they may be superior.” Ava Helen especially wanted her female colleagues to pursue careers and to advocate for equal pay. She applauded President Kennedy’s 1961 Commission on the Status of Employed Women, which revealed discrimination across virtually all work fields. 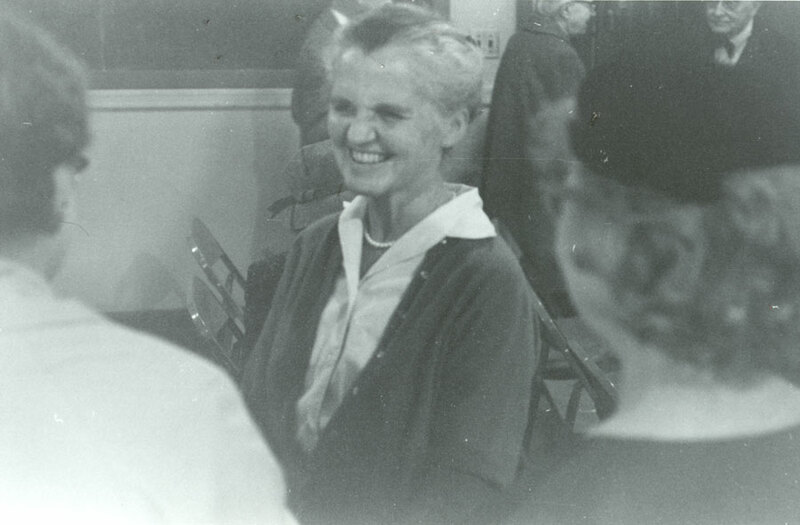 Ava Helen encouraged women to pursue non-traditional careers in medicine and science. “In every field of human endeavor… writing, science, engineering, woman has shown that she has ability,” Ava Helen told her audience. She famously suggested that the first scientists were women. She eagerly cited studies showing the equal intellectual abilities of boys and girls. 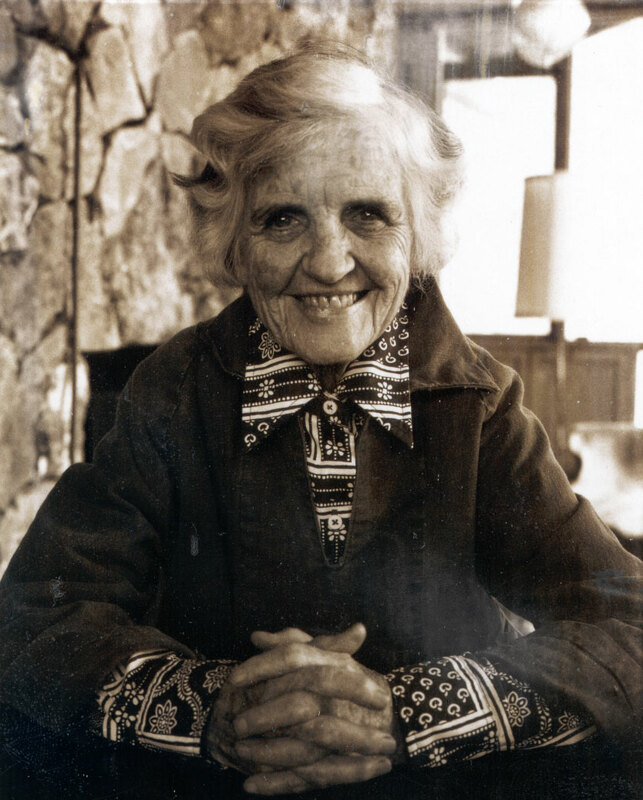 She celebrated the appearance of women scientists, like Rachel Carson. In a speech given at a medical conference in the 1970s, Ava Helen applauded the appearance of women-run women’s health clinics. Like her suffragette mother before her, Ava Helen actively promoted equality between men and women. 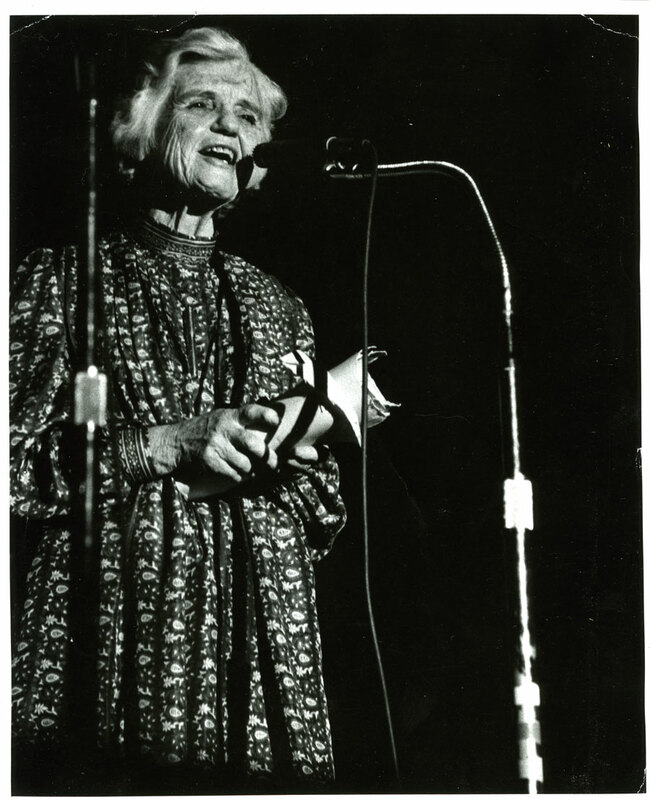 Ava Helen speaking at the Quilapayun Concert in Tribute to Victor Jara, Eugene, Oregon, 1979. 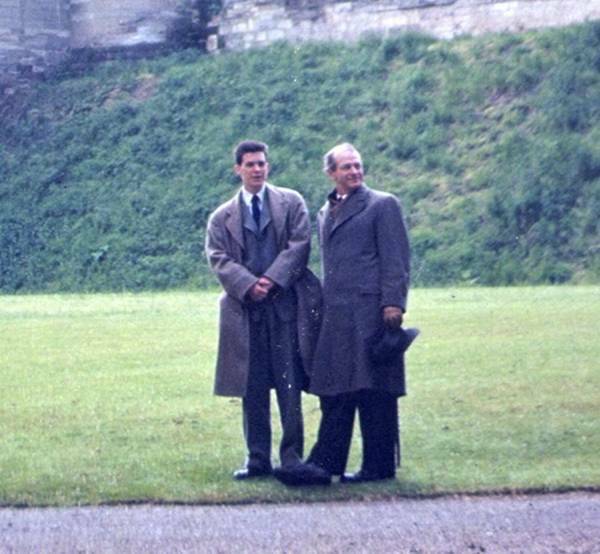 Linus and Peter Pauling at Warwick Castle, England. 1948. –Peter Pauling. Letter to Linus Pauling, January 13, 1953. 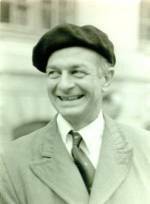 Normally, when Linus Pauling became interested in something, he would dive headlong into it. Hours and hours of his time, over weekdays and weekends, would be committed to research in pursuit of fleshing out every last useful detail. This arduous process is best illustrated by his work on the nature of the chemical bond, work which would later win him a Nobel Prize in Chemistry. Pauling’s experience with DNA, however, was not an example of this typical approach. First, it should be noted that Pauling did not have years to spend working on DNA. Its importance was fully realized in the summer of 1952, less than a year before Watson and Crick elucidated its structure, and although Pauling actually began studying nucleic acids as early as 1933, he wasn’t able, or willing, to spend a significant amount of time on a molecule that was perceived to be relatively unimportant. Even after learning of the importance of DNA, Pauling still didn’t make time for it. As emphasized in earlier posts on Linus Pauling and DNA, Pauling remained very much preoccupied with his work on the nature of proteins. An examination of Pauling’s correspondence with his son Peter – a man uniquely positioned in the middle of the DNA story – reveals that other matters, many of them trivial, also took precedence over Pauling’s pursuit of the structure of DNA. 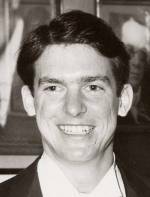 In the fall of 1952, Peter Pauling, an aspiring crystallographer and the second oldest of the four Pauling children, began his graduate studies at the University of Cambridge. 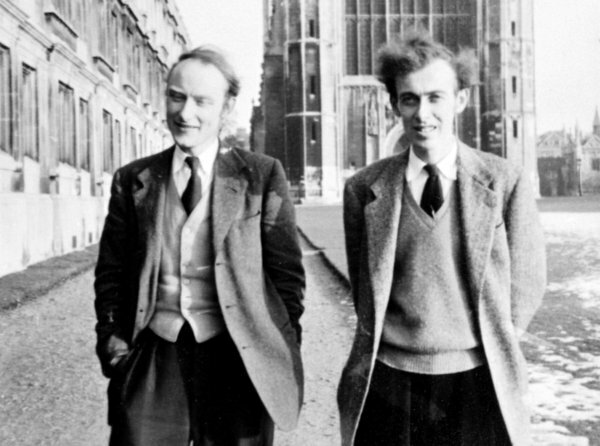 Coincidentally, James Watson and Francis Crick were also at Cambridge at this time, and not long after his arrival, Peter had met them, become an office-mate, and was spending off-hours time with the duo. Because Linus Pauling and the Watson-Crick tandem were both attempting to solve the structure of DNA, Peter’s arrival at Cambridge gave his father an excellent opportunity to keep tabs on the work being done by his competitors in England. A close examination of the voluminous father-son correspondence from this era suggests, however, that DNA was far from a pressing topic in Pasadena. Also, as to your curtains: will you check the dimensions and let us know. You say in your letter two windows 6’ 6” high, 50” and 37” wide respectively, in other words four curtains each 48” wide. Mama thinks that you probably mean four curtains each 36” wide. It would be hard to get the wider material. Also, would you write us as to the exact points between which the vertical dimensions are measured. What is the distance from, say, the top of the window frame (or some other exactly specified locus) to the floor, and also to the bottom of the window frame? Mama thinks that probably the curtains should reach all the way to the floor, but in any case they should extend from the top of the window frame to the bottom of the window frame (if you have window frames), or from a point a little below the opening at the bottom. She suggests that one of your old curtains might serve for one of the windows, and that she would then have to make only a pair for the larger window. I sympathize with you about the bed. I remember sleeping on a bed which had a two by four across under my ear; it was not very comfortable. -Linus Pauling, letter to Peter Pauling, October 22, 1952. Linus first wrote to Peter in England on October 22, 1952. By this time, the elder Pauling was well aware of the importance of DNA, but had not yet devised a structure. Watson and Crick, on the other hand, had developed a structure for DNA a year earlier. Although their model turned out to be incorrect, the two men continued their work with nucleic acids. Clearly, for Watson and Crick, DNA was becoming extremely important. For Pauling this did not appear to be the case – although Watson and Crick were both mentioned in this first letter, DNA was not. As it turns out, other subjects – including, but not limited to, curtains for Peter’s new apartment, recent travels and upcoming travel plans, finances, and, of course, cars – were much more prevalent than was DNA in the Paulings’ early correspondence. In another letter from Pauling to Peter written on March 10, 1953, DNA plays a much larger role. This time, about half of the three-page document is dedicated to discussing various aspects DNA; the remainder focuses on travel plans and automobiles. The other letters follow this same trend. Clearly, Linus and Peter’s lengthy discussions on subjects such as cars, traveling, curtains, and other aspects of science suggest that Pauling wasn’t interested in DNA on the level of certain other scientific pursuits. Another interesting aspect of the correspondence between Linus and Peter Pauling is the opportunity that it provides for tracking the evolution of the consensus response to Pauling’s structure. From that point on though, Peter begins talking less about Pauling’s structure, and more about work being done by Watson, Crick, and Rosalind Franklin. One might deduce that, although Peter didn’t specifically issue a disagreement with his father’s structure, he did develop a certain degree of skepticism as time progressed. Peter also does not often mention other opinions of his father’s structure, most likely because, upon further examination, it was not well-received by the English contingent. For more information on DNA, please visit the Race for DNA website. For more information on Linus Pauling, check out the Linus Pauling Online portal. 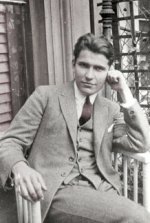 Erwin Chargaff, (1905-2002) a biochemist born in Austria, became interested in DNA earlier than most. In the 1930s, while he was working with the bacteria Rickettsi, he became aware of nucleic acids, and decided to educate himself about them. In 1944, after Oswald Avery published his paper detailing the transforming principle of the Pneumococcus bacteria, Chargaff decided to devote his laboratory almost entirely to the chemistry of nucleic acids. Experimenting with these delicate substances was not an easy task, but eventually a chromatographic technique was developed that would allow for the separation and analysis of the base rings in DNA. This work would later lead to the development of Chargaff’s Rules, the topic of today’s post. DNA has two main structural components – a backbone made up of sugar and phosphate groups, and a series of bases found in the middle of the molecule. 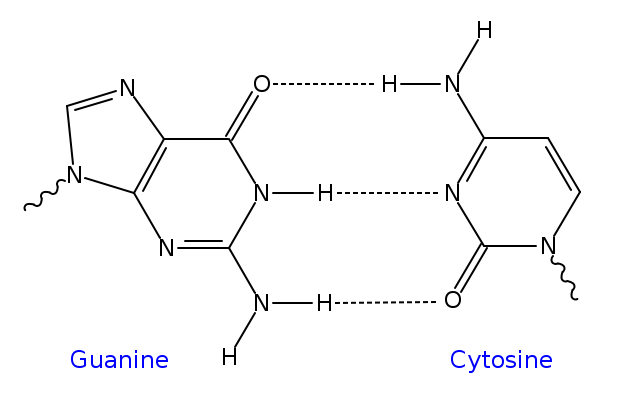 There are four different bases found in DNA: Adenine (A), Cytosine (C), Guanine (G), and Thymine (T). These four bases can be divided into two categories, pyrimidines and purines. 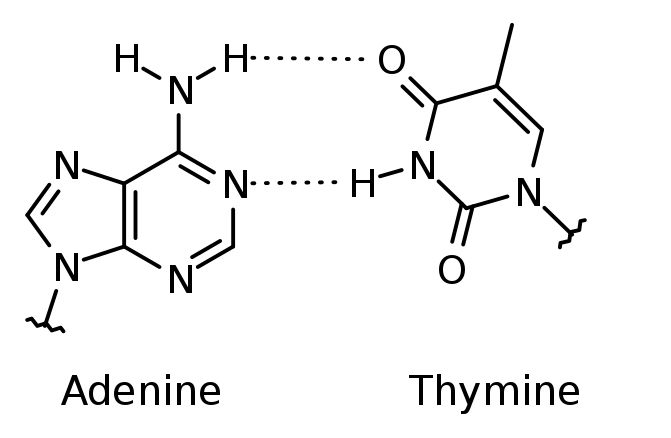 The pyrimidine bases, Cytosine and Thymine, contain only one ring, while the purine bases, Guanine and Adenine, contain two rings. In the DNA structure, the bases pair complementarily, meaning that a purine base will bind with a pyrimidine base. More specifically, Adenine binds with Thymine and Cytosine binds with Guanine. Although this information is now considered fundamental biology, it wasn’t fully understood until after Watson and Crick discovered the structure of DNA in 1953. However, Chargaff’s research in the late 1940s had suggested that the four bases paired in the manner described above. When Chargaff first decided to devote his laboratory to nucleic acids, he allowed a postdoctoral student named Ernst Vischer to choose his research program from a list of suggested topics. Vischer decided to analyze the purines and pyrimidines in nucleic acids, and went to work developing the chromatographic technique so crucial to isolating the bases. Although his technique was rather crude, it did the trick and Vischer achieved great success. The results of the base analysis showed that the amounts of Adenine and Thymine were about equal, and also that the amounts of Guanine and Cytosine were about equal. Eventually, Chargaff came to the conclusion that in a single molecule of DNA, Guanine/Cytosine = Adenine/Thymine = 1. This concept would later become known as Chargaff’s Rules. Chargaff’s Rules were officially announced in a lecture delivered in June of 1949 and were first published in May of 1950. However, Linus Pauling had heard about the ratios much earlier – straight from Chargaff in late 1947, while traveling to England for his six-month stay as a professor at Oxford University. Pauling, who considered the trip by ship across the Atlantic Ocean with his family to be a vacation, did not pay attention to what Chargaff told him. Crellin Pauling, the youngest child of Linus and Ava Helen Pauling, mentioned the remarkable background to the incident in a speech given during a symposium to celebrate Pauling’s life that was held here at Oregon State University in 1995. One 35 years old (Crick), with the looks of a fading racing tout. . .an incessant falsetto, with occasional nuggets gleaming in the turbid stream of prattle. The other (Watson), quite undeveloped. . .a grin, more sly than sheepish. . .a gawky young figure. Regardless of what he thought of them, Chargaff still mentioned his work to Watson and Crick. The information, although published almost two years earlier, seemed to be new to the pair. Though Chargaff himself didn’t speculate much on his rules, and Pauling completely ignored them, they did prove to be extremely useful to Watson and Crick. With this new knowledge, the feedback they had received from Rosalind Franklin and Maurice Wilkins, and data obtained through their own research, Watson and Crick were soon able to correctly deduce the structure of DNA. For more information on DNA, please visit the Race for DNA website, or check out the other posts in the DNA series. For more information on Linus Pauling, visit the Linus Pauling Online portal. During their so-called race to discover the structure of DNA, Linus Pauling and the unlikely pair of James Watson and Francis Crick utilized remarkably similar approaches in attempting to solve the riddle of the genetic material. In fact, one of the main tactics used by Watson and Crick was to approach the problem in the same manner that they assumed Pauling would. Although Pauling and Watson and Crick did, at one point, come up with nearly identical, yet incorrect, structures, it was Watson and Crick who would eventually solve DNA. Why then, if the pair were thinking like Pauling, were they able to beat him to the structure? Another vital resource available to Watson and Crick was an excellent X-ray crystallography pattern, the famous photo 51, taken by Rosalind Franklin. Although, in all likelihood, Pauling could have also viewed Franklin’s photographs had he tried, he settled on using blurry patterns published by William T. Astbury several years before Franklin’s superior images. These X-ray photographs are the main topic of today’s post. In particular, the factors accounting for the difference in quality between Franklin’s and Astbury’s patterns will be discussed. Before delving into this subject, however, a brief overview of X-ray crystallography is necessary. William T. Astbury, ca. 1950s. X-ray crystallography, also sometimes known as X-ray diffraction, is used to determine the arrangement of atoms within a crystalline molecule. It is a rather complicated procedure, and the photos taken in the process can be interpreted only by a person with significant training. The steps to obtaining these photos are as follows. First, an adequate crystal must be obtained. This is a very difficult step because the crystal must be large enough to observe and also sufficiently uniform. If it does not meet these specifications, errors – such as blurriness – will occur, often rendering the resulting crystallographic patterns useless, at least for purposes of determining atomic arrangement. After an adequate crystalline specimen is obtained, a beam of X-rays is shined through it. When the beam strikes the electron clouds of the atoms in the crystal, it is scattered. These scattered beams can then be observed on a screen placed behind the crystal. Based on the angles and intensities of the scattered beams, a crystallographer can create a three dimensional picture of the electron density of the crystal. Finally, from the electron density information, the mean positions of the atoms within a crystal can be determined, and the structure of the molecule can be considered “solved.” That said, just one image is not nearly enough to determine the structure of an entire crystal. Therefore, the crystal must be rotated stepwise through angles up to and even slightly beyond 180 degrees, depending on the specimen. Patterns are required at each step, and complete data sets may contain hundreds of photos. 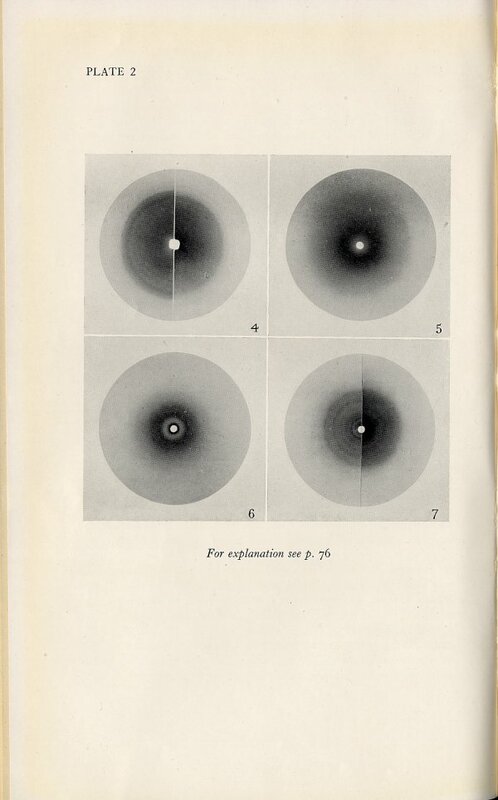 Clearly, because the process of X-ray crystallography is so cumbersome, there are many opportunities for mistakes that may have led to the poor quality of Astbury’s photographs. However, Astbury’s techniques seem to have been excellent. He was a very experienced crystallographer, and had achieved great success in his earlier work with X-ray diffraction on substances such as keratin. Astbury's images, 1947. Plate 2. It is important to note that, even if Astbury had known he was using a poor crystalline sample of DNA, he probably still wouldn’t have been able to compete with the quality of Franklin’s photos. In 1950, three years after Astbury’s images were published, Maurice Wilkins developed a way to obtain much better X-ray patterns of DNA through the use of a solution of sodium thymonucleate. This solution is highly viscous, and Wilkins found that thin strands could be drawn out by gently dipping a glass stirring rod into a sample and slowly pulling it out. These thin strands were pure DNA, and Wilkins was able to get excellent X-ray patterns from them. Before long, Wilkins had also acquired better equipment and had also hired Rosalind Franklin to run it. Franklin, essentially working independently, used the same basic technique developed by Wilkins. She did, however, add several of her own smaller experimental refinements, which made the photographs even better. Eventually, she developed photo 51, which would later be shown to Watson and Crick. The rest, as they say, is history. Rosalind Franklin and William Astbury were both excellent crystallographers, but Franklin’s experience with DNA gave her a clear advantage when working with the molecule. Her brilliant X-ray patterns would later prove to be a major determining factor in the “race for DNA”. For more information on DNA, please visit the Race for DNA website. For much more on Linus Pauling, check out the Linus Pauling Online portal. Today, the structure of DNA series is continued with the model proposed by Linus Pauling and Robert Corey in 1953. As a result of insufficient data and an overloaded research schedule, Pauling’s structure turned out to be incorrect. However, it is interesting to see the ways in which one of the world’s leading scientists went wrong with his approach to the structure of this hugely-important molecule. Linus Pauling played around with nucleic acids as early as 1933 when he hypothesized a structure for guanine, a base ring. In the summer of 1951, he again became interested in DNA when he heard that Maurice Wilkins at King’s College had developed a few good photographs of nucleic acids. Unfortunately for Pauling, Wilkins was unwilling to share his research. In November of that same year, a structure of nucleic acids was proposed and then published by Edward Ronwin. Pauling could tell almost immediately that Ronwin’s structure wasn’t correct, but it did contain a few good ideas that got him thinking about other possible structures. Pauling hypothesized that DNA was likely helical in shape, with the large base groups facing out and the phosphate groups stacked in the core. At this juncture, however, Pauling was again distracted by other research and let the project drop. Until 1953 nucleic acids weren’t considered to be very important. At the time, proteins, rather than DNA, were considered by most scientists to be the carriers of genetic material. Partly because of this, Pauling’s attention was focused on proteins, not DNA. In May of 1952, Pauling was scheduled to attend a special meeting of the Royal Society where he would address questions pertaining to his protein structures. This trip would also give him an opportunity to discuss DNA with Rosalind Franklin, who was Maurice Wilkins’ assistant. She had recently developed an especially clear photograph of DNA which likely would have saved Pauling from making some key mistakes when determining the structure of DNA. As a result of his very-public anti-war and anti-nuclear activities, Pauling’s initial request for a passport was denied, though he was granted a limited passport only ten weeks later. However, when Pauling arrived in England, he did not visit King’s College. He was preoccupied with his protein research and he assumed that Wilkins still wouldn’t be willing to share his data. Soon after his visit to England, Pauling was granted a full passport and traveled to France. Here he was informed, through an experiment performed by Alfred Hershey and Martha Chase, that DNA was in fact the genetic master molecule. Upon learning this, Pauling decided that he would solve the structure of DNA. However, when he returned to California, he continued to work primarily with proteins. It wasn’t until November 25, 1952 that Linus Pauling would make a serious attempt at the structure of DNA. Unfortunately, when Pauling did decide to put in some time with DNA, he still had insufficient data to correctly deduce its structure. Using only a few blurry x-ray patterns done by William Astbury in the 1930s and a photograph published by Astbury in 1947, Pauling decided that DNA was indeed a three-chain helix with the bases facing outward and the phosphates in the core. Astbury's 1947 photographs of DNA. However, it was immediately clear that making room for so many phosphates in the center of the molecule would be quite a task. Pauling spent a great deal of time manipulating his model, and eventually produced a satisfactory representation. He then asked Robert Corey, his chief assistant at Caltech, to perform detailed calculations on the proposed atomic positions. Corey’s calculations proved that, despite Pauling’s efforts, there still wasn’t enough room for all of the atoms. Pauling, refusing to consider the possibility that his structure was incorrect, resorted to further manipulation. (In fact, Pauling refused to concede even after a colleague pointed out that there was no room for sodium ions in the core of his model, a feature that is essential in the creation of sodium salts of DNA.) Convinced that the finer details would later fall into place, Pauling and Corey spent the last week of the year writing up their structure, and on the last day of 1952, they submitted “A Proposed Structure for the Nucleic Acids” to the Proceedings of the National Academy of Sciences. Diagram of the Pauling-Corey structure for DNA, as published in PNAS. The paper was uncharacteristic of Pauling. Instead of his usual confidence, he stated that the structure was “promising” but also “extraordinarily tight.” Pauling likewise noted that the model accounted only “moderately well” for the x-ray data, and that the atomic positions were “probably capable of further refinement.” As it turned out, Pauling wasn’t seeking perfection with his structure. In reality, he wanted to be the first to publish a roughly correct structure of DNA. Rather than having the final say, he wanted the first. Once the article was published in February of 1953, it became more and more apparent that Pauling’s structure wasn’t even roughly correct. By this time, Pauling had already moved on to other projects, and was surprised at the fact that his paper was received so poorly. Once he caught wind of the talk surrounding his structure, he decided to return to the topic of DNA. Despite the negative reaction, Pauling still believed that his structure was essentially right. However, he soon received better nucleotide samples from Alex Todd, an organic chemist at Cambridge, and began a more rigorous approach to determining the structure of DNA. I think that it is fine that there are now two proposed structures for nucleic acid, and I am looking forward to finding out what the decision will be as to which is incorrect. This fact would soon change. In April of 1953, Pauling was to attend a conference on proteins in Belgium. On his way, he stopped in England to see the Watson and Crick model of DNA as well as Franklin’s photographs. After examining both, Pauling was finally convinced that his structure was wrong and that Watson and Crick had solved DNA. Linus Pauling, although disappointed with the results, accepted his defeat graciously. He gave Watson and Crick full credit for their discovery and assisted them in tying up a few loose ends with their model. For Pauling, this event was a single failure in a sea of successes. In fact, the very next year, he would win the Nobel Prize in Chemistry – the first of his two Nobel Prizes. Despite his embarrassing mistakes, Pauling was to remain in good standing with the scientific community. Please check back on Thursday for the conclusion of the DNA structure series – an examination of the correct structure deduced by Watson and Crick. For more information on DNA, please visit the website Linus Pauling and the Race for DNA. For more information on Linus Pauling, visit the Linus Pauling Online Portal.